We're committed to providing strong, vibrant education opportunities for students in order to nurture creativity, inspire artistic potential, build confidence, and encourage self-expression. We have extended our reach to enrich the lives of individuals of all ages and strengthen our community under the guidance of Gary Cadwallader, our director of education and community engagement. Palm Beach Dramaworks introduces our Young Playwrights Ten-Minute Play Contest and festival! Our goal is to introduce the joy of writing for the live theatre to young people, and to give teens a creative voice in expressing their thoughts and ideas. Our program encourages students to write about subjects that are meaningful to them, and to give you the educator tools to incorporate playwriting into your theatre or language arts classrooms. Detailed lesson plans and helpful resources are found below. The One Humanity Tour is a free, professional touring program for middle school students. In 2017, the 6th grade tour, Swagger by Eric Coble, performed for over 6,000 students at 18 middle schools. The One Humanity Tour program is a world premiere project created exclusively for The School District of Palm Beach County. Swagger is a compelling story told in a “direct address” style by three characters: Jordan, an 8th-grade student, Daniel, a police officer, and Leela, a small business owner. Their lives intersect in a gripping moment captured on video, and the story is articulated by multiple perspectives. A moment-to-moment, detailed synopsis is included in the Teacher Resource Guide. This program was designed to use storytelling to develop informed, thoughtful, and compassionate citizens, and provides a thoughtful discussion about cause and effect and empathy for others. A free touring play for 7th grade students is currently in development. Free student performances are offered for our mainstage productions, and include post-performance talkbacks, teacher resource guides with educational activities, and bus transportation if needed. A compelling and powerful intergenerational digital storytelling initiative. LGBT elders share their personal histories with participants in the Compass Youth Program, who preserve their reminiscences on video using multimedia. Future programs will include: Classes, workshops, acting and other skills-based learning sessions. 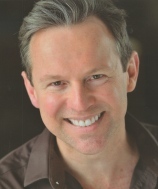 Gary Cadwallader is an educator, actor, and director. He was previously the director of education at Orlando Repertory Theatre and at Seaside Music Theatre in Daytona Beach. Gary is president of the Florida Theatre Conference.